Night view of a monumental temple of st. Sava located in Belgrade, Serbia. It is one of the largest Orthodox churches in the world and also ranks among the largest church buildings in the world. The inner walls are still not painted in frescoes and finished. 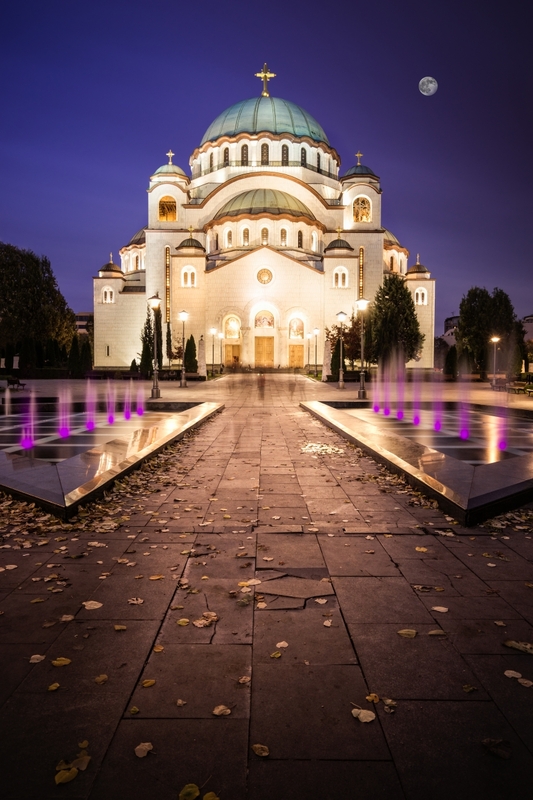 The church is dedicated to Saint Sava, the founder of the Serbian Orthodox Church and an important figure in medieval Serbia.